Our animals play a key role in our farming systems. We both started farming feeling that a farm is not a “farm” without animals! They provide essential fertility for our fields, help to aerate the soil and work up the dirt. They also eat our culled vegetables and turn that into manure that goes back on our fields. We feed them, and they feed us. 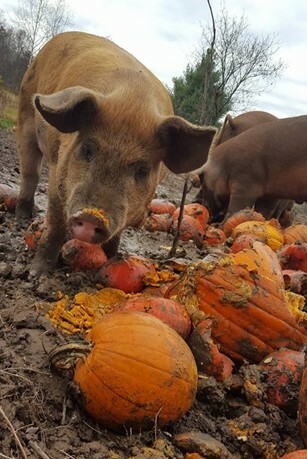 Our pigs have been really fun to work with, as we have chosen a heritage breed, Red Wattle/Berkshire cross, that is known for their friendliness, rooting ability and amazing taste. 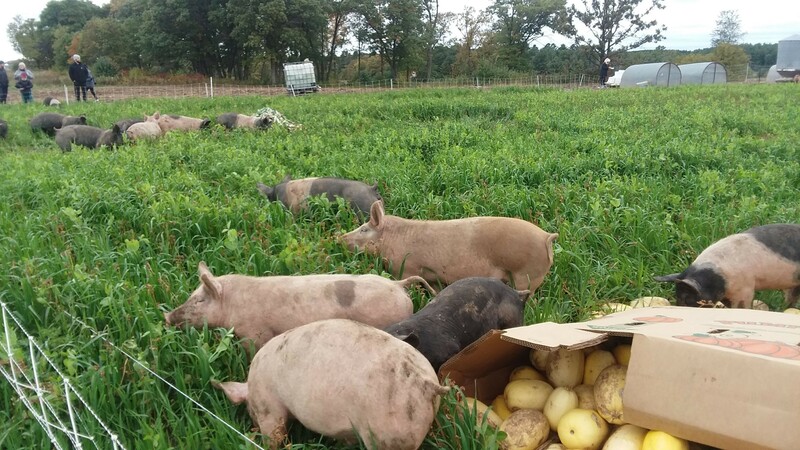 You will not find finer pork than from strictly pasture raised heritage bred hogs. They have a great life on the farm and we make a point to rotate them frequently so they can always have fresh ground to root up. 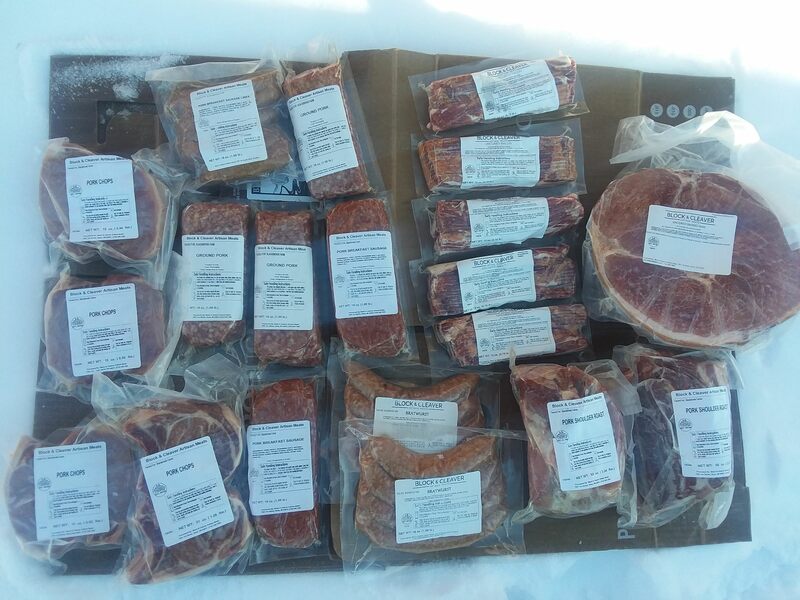 PASTURED PORK DELIVERED TO YOUR DOOR! 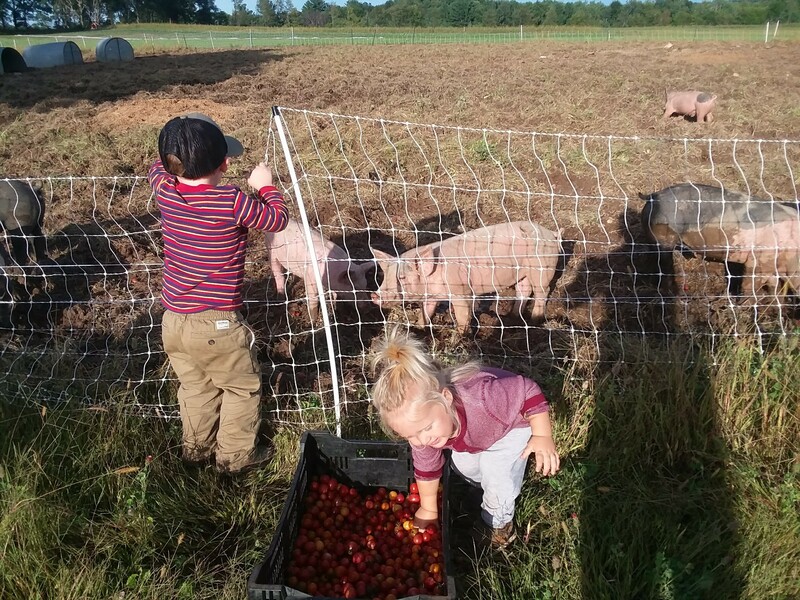 To buy our pastured pork sign up Here! For 2019, we will begin intensively grazing Scottish Highland Cattle on our farm. Pasture raised beef will be available for sale in 2020. Stay tuned!